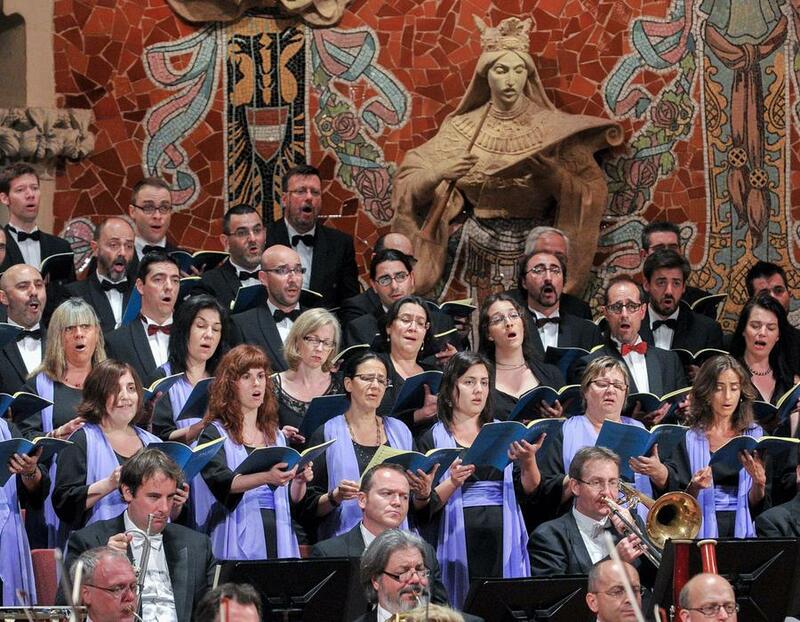 To be come a singer of the Orfeó Català means belonging to one of the most prestigious and storied amateur choirs in the country. An opportunity to become part of one the leading choral families, with highly prestigious seasons and the most demanding artistic requirements. We invite you to join an ensemble that next season will be travelling to China to perform at the Shanghai International Arts Festival; will be conducted by Gustavo Dudamel on tour with the Münchner Philharmoniker, at the Palau de la Música Catalana, in Madrid and in Munich; and will star in two performance concerts with Miquel Barceló, marking the premiere of a work by Pascal Dusapin. This year the Orfeó Català is staging auditions for new singers both for its regular ensemble and for occasional collaborations. For sopranos we offer the opportunity to join the reserve list, and for alto, tenor and bass voices, to join the choral ensemble itself. The age limit for be presented in tests admission i is 60 years and the minimum is 25 years. Auditions are held in the Palau de la Música Catalana from 9 to 12 July 2018 in the afternoon. Before June 14 applicants should send a recording audio (or video) of a maximum duration of five minutes, which interpret a piece of free choice (or fragment) with piano accompaniment or a cappella. This recording will serve as the first selection of the candidates, and on June 18 they can communicate if hearing and schedule. a. Performance of a freely-chosen work for voice and piano. b. Performance of two obligatory pieces. For sopranos: "How beautiful are the feet of them" from The Messiah by Händel and An die Musik by Schubert in the key of D major. For mezzo-sopranos and contraltos: "He shall feed his flock" (version II up to bar 23) from The Messiah by Händel and An die Musik by Schubert in the key of C major or B major. For tenors: recitative "He was cut off" and aria "But Thou didst not leave" from The Messiah by Händel and An die Musik by Schubert in the key of D major. For baritones: "Herr Gott Abrahams" from the oratorio Elias by Mendelssohn and An die Musik by Schubert in the key of C major. For basses: "O Isis und Osiris" from Die Zauberflöte by Mozart and An die Musik by Schubert in the key of B major. c. Performance of a freely-chosen unaccompanied melody. It can be a song, a piece for solo voice, or a piece for choir with a minimum duration of one minute. d. Sight reading of choral sheet music. The applicant must demonstrate a good level of musical training and, above all, good vocal conditions. They don't need to bring a pianist.